Jakub Kurek is a passionate pianist and music educator with 3 years teaching experience. He has been mentored by some of the most eminent musicians and pianists in Australia including Len Vorster and Professor Ian Holtham. Jakub is currently in his final year of a B.Mus (Piano Performance) at the Conservatorium of Melbourne. Prior to that he studied piano at the Victorian College of the Arts Secondary School. 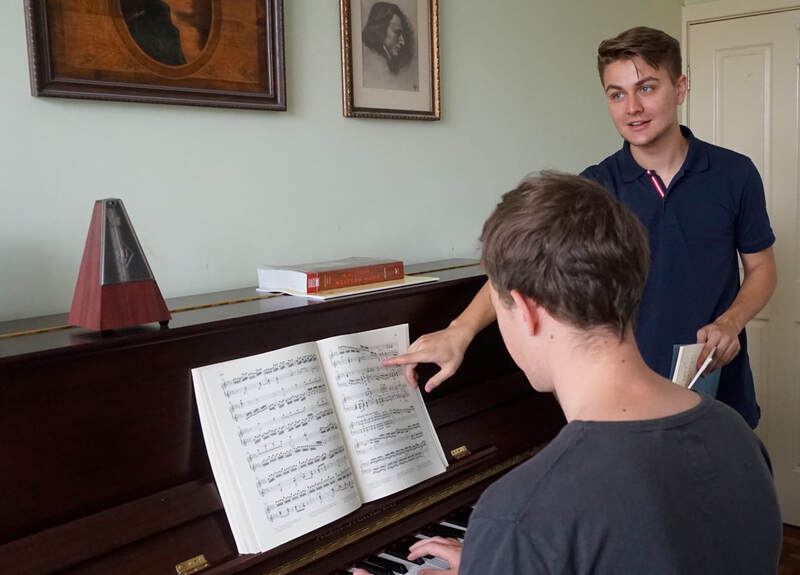 Jakub has received specialised training in piano pedagogy, particularly in the early development of cognitive skills as they pertain to music. His knowledge of the keyboard is exceptional. Jakub's musical interests vary from early to 21st century music and also includes jazz. He has experience both as a soloist and chamber musician, and particularly enjoys collaborating with other musicians. Consequently, his teaching philosophy focuses on a holistic approach, drawing on diverse aspects of music to teach the piano and giving the student not only an ideal training as a pianist but more importantly as a musician. Jakub is a popular teacher and limited spaces are available. A waiting list may apply. Jakub teachers on an Alex Steinbach upright piano at his home studio at 35 Dickens St, Elwood. Jakub teaches a holistic approach to piano at his studio near St Kilda Botanical Gardens in Elwood.